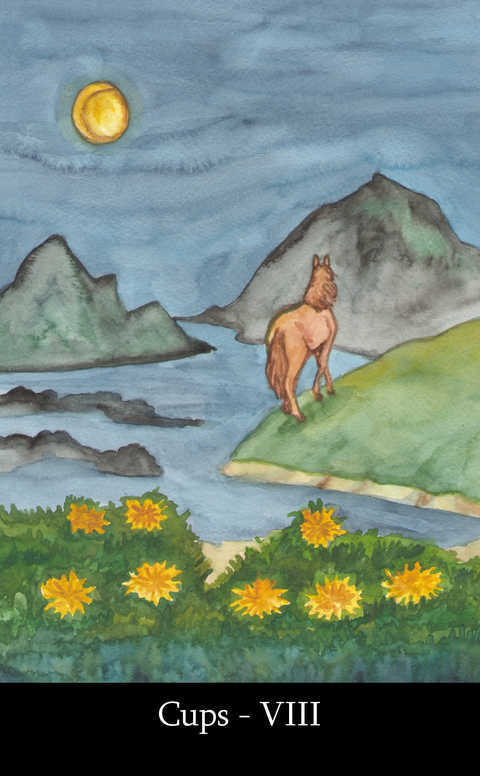 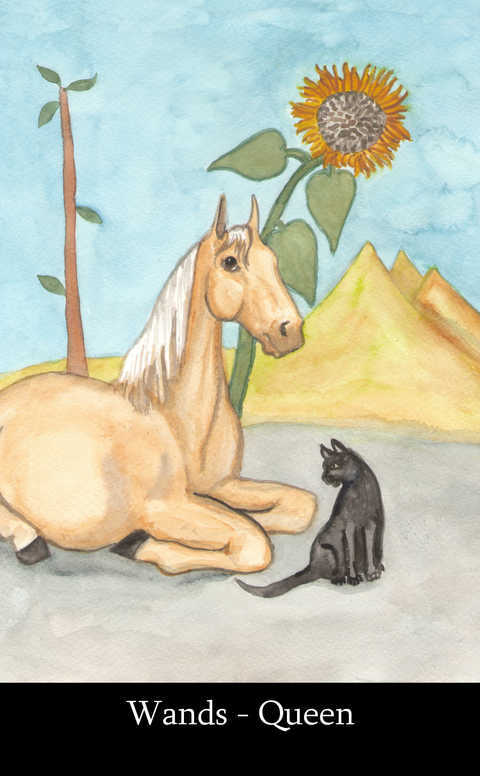 The Riderless Tarot is and art card tarot deck featuring horses and other animals. 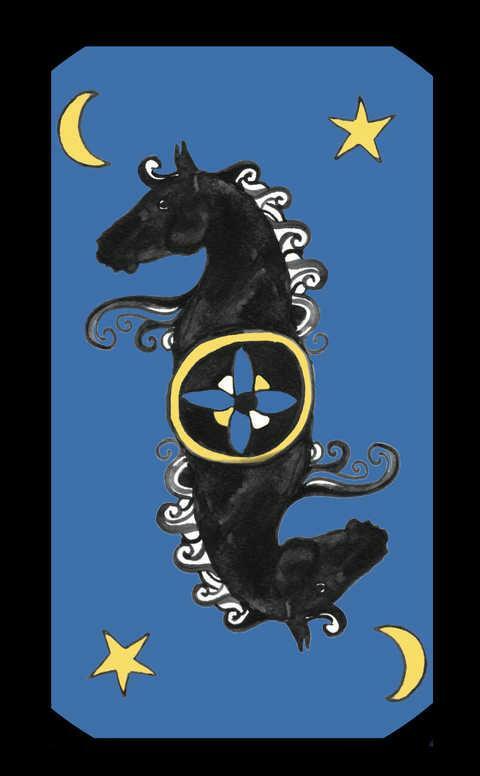 This full sized art deck is based on the original Rider Waite tarot deck, and follows the same meanings and similar symbolism of the traditional tarot deck. 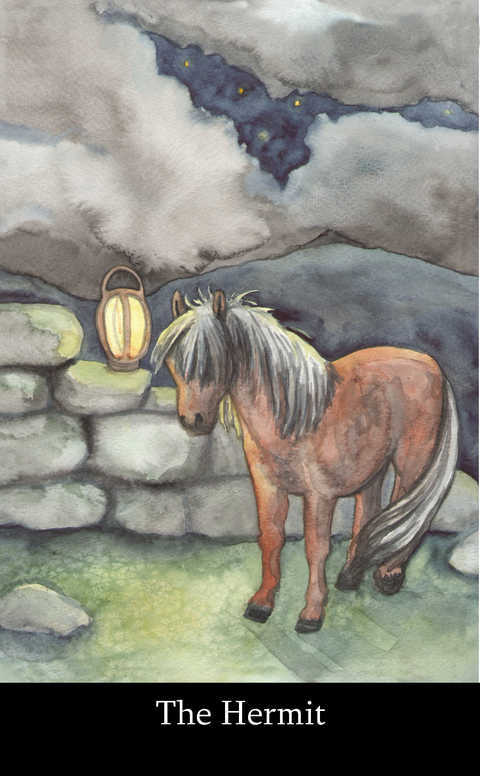 They are professionally printed in full color with reversible backs. 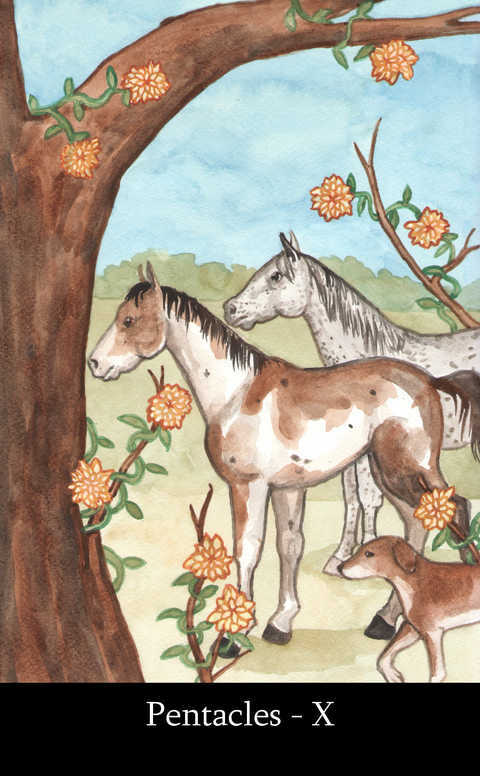 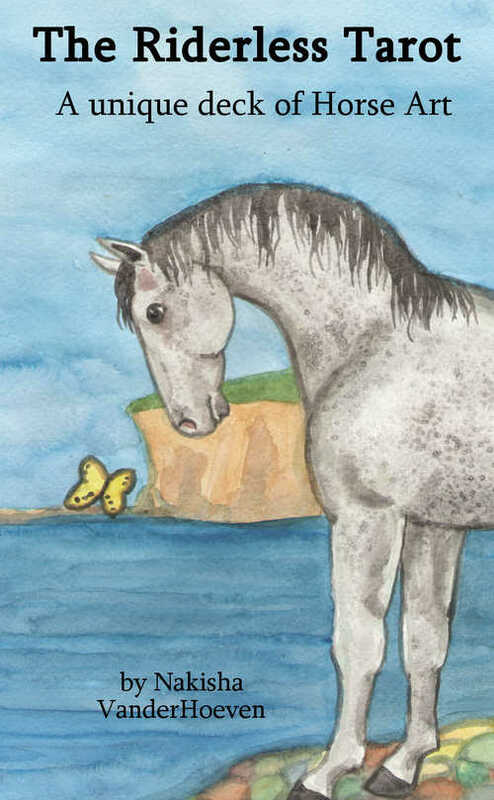 Each card features a unique watercolor painting of horses. 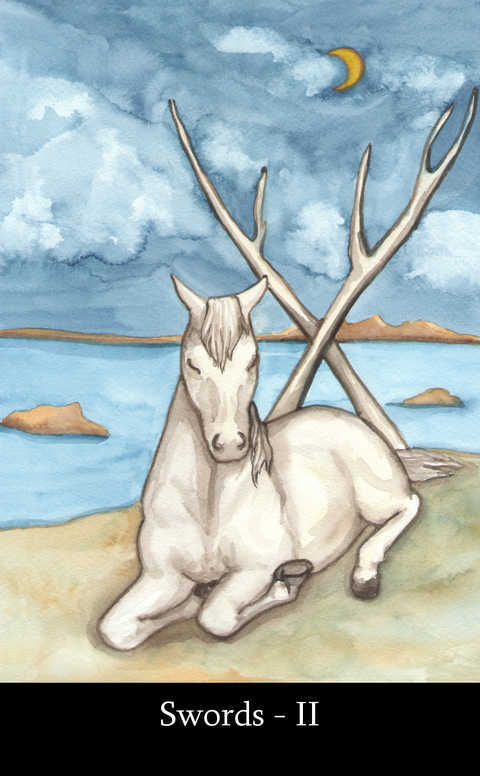 This is the fifthTarot deck created by Nakisha funded through kickstarter.